Few nations have internationalized their business operations as successfully as the Swedes. 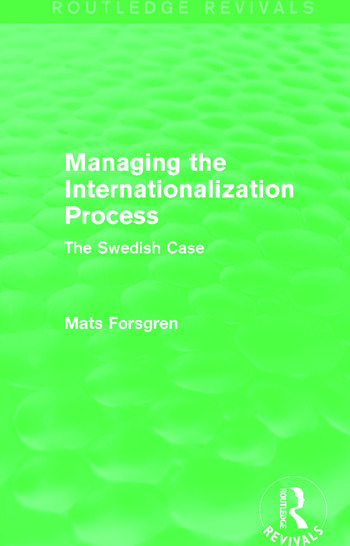 This book, first published in 1989, looks at the process in detail, examining the international operations of Swedish firms since 1970, including acquisitions of foreign firms. The international dimension of business is becoming increasingly important for firms of all sizes, and this analysis of what happens when companies enter and then sustain a presence in the international arena will be of great value to students and teachers of international business and management.